Sets your desktop wallpaper to a work of art. Is there a better alternative to Artful? 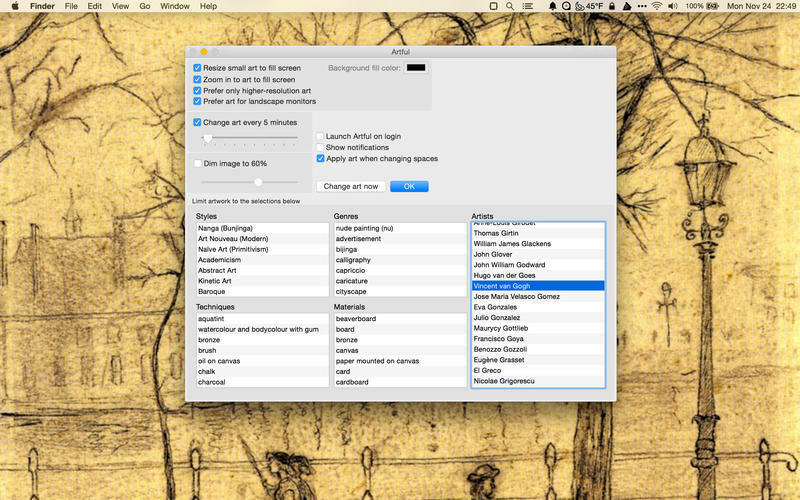 Is Artful really the best app in Desktop category? 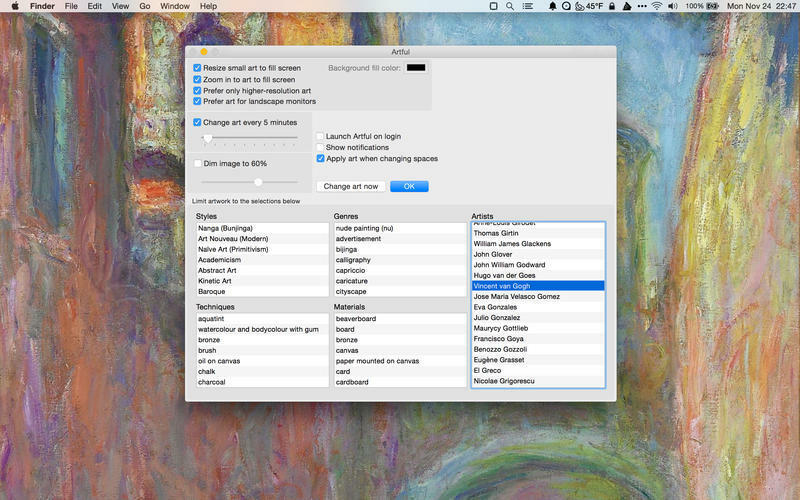 Will Artful work good on macOS 10.13.4? 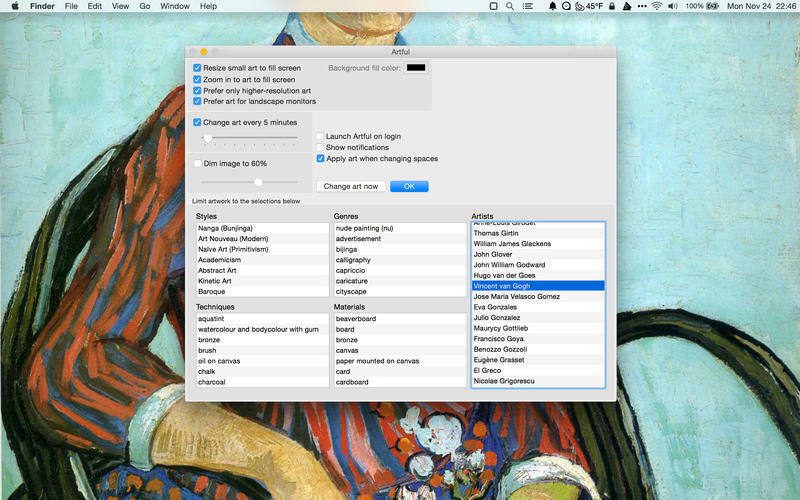 Artful sets your desktop wallpaper to a random work of public-domain art. You are the curator. 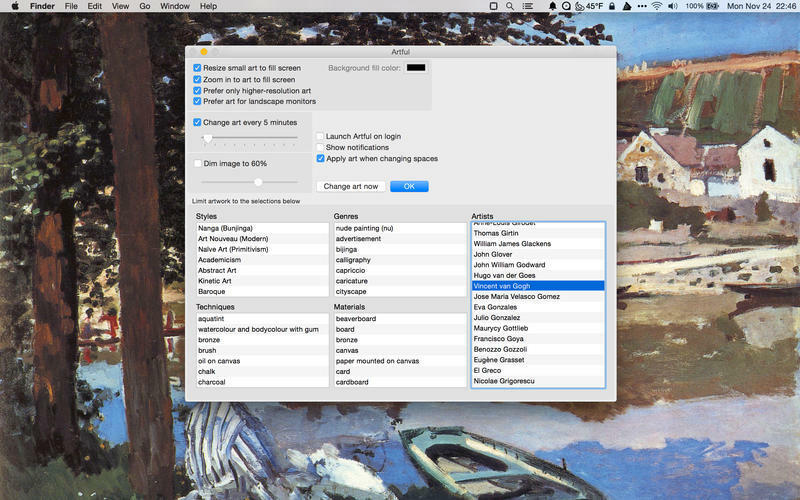 Pick the types of art you want displayed, and Artful will do the rest. Filter by artist, genre, style, technique, or medium. It changes the art as often as you like, or only when you want it changed. 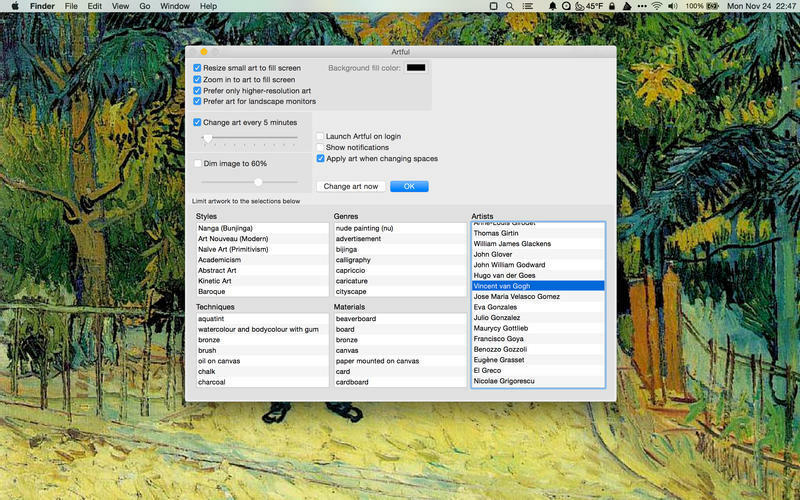 All of the art is stored online, so Artful takes up very little space on your computer. Artful needs a rating. Be the first to rate this app and get the discussion started!